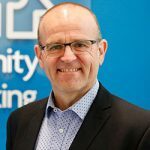 The latest Rental Affordability Index paints a bleak picture for single parents who are renting, writes Community Sector Banking CEO Andrew Cairns. Parenting can be tough at the best of times. However, when it comes to housing and parenting, there is one group who is experiencing a particularly rough time – single parents – most of whom are women. A new report released last week paints a bleak picture for single parents who are renting. The Rental Affordability Index has found there are 89,700 single-mother households across Australia living in rental stress. Of the single mothers who rent, more than 50 per cent earn less than $41,600 per annum. This is only marginally more than the income of single parents who are working part time and are on benefits. The report, released by Community Sector Banking, National Shelter, SGS Economics & Planning and the Brotherhood of St Laurence, also revealed that of single-parent households in rental stress, the clear majority are single mothers. The Rental Affordability Index measures the rate of rental stress – where an index of 100 and below indicates rental stress because a low-income household is spending 30 per cent or more of their income on housing. A figure between 100 and 150 indicates a household is not in rental stress but still faces unaffordable to moderately unaffordable rents. Scores above 150 indicate a household is able to access affordable rents. At first glance, the housing story for single parents looks marginally acceptable in some parts of Australia. For single parents living in Sydney, Melbourne, Brisbane and the ACT, renting remains unaffordable to moderately unaffordable with scores of 106 to 132. Perth and Adelaide offer rents that could be described as affordable with indexes of 169 and 176, while Hobart, where affordability has been declining, is on the cusp at 151. In reality, though, when you dig underneath the figures to get a clearer picture, many single-parent households are suffering rental stress, even in the cities identified by the index as affordable. This is because single-parent households generally spend a considerable proportion of their earnings on childcare and afterschool care to remain in employment. Households suffering rental stress have to forgo other essentials to survive. This can include primary needs such as food, power, water, healthcare, medication, transport and education. This is a major problem and can at times spark a downward spiral that pushes single parents out of work and into the poverty trap. If they fall ill and cannot afford medical care, for example, they cannot go to work and may lose their job. If they get behind on bills such as power and rent, they can find themselves facing mounting legal demands with interest piling on. Or worse – an eviction notice from their residence, meaning they lose their housing security. This struggle to find – and keep – affordable housing during single parents’ core working and child-rearing years feeds into their experience later in life. Unable to build up financial reserves during their careers, women over 55 have become the fastest growing group facing homelessness. Many have no or only meagre superannuation balances that simply will not support them in retirement. It is becoming more and more likely that older people will find themselves renting or still paying down a mortgage rather than owning a home outright. Nationally, the number of households of all ages that are renting is on the rise, jumping from 25 per cent in 1995 to 30 per cent in 2015. In 1996 the proportion of people aged 50-54 who owned their home outright was 80 per cent. Now it is 73.7 per cent. While renting can have benefits for some, others end up stuck in an unbreakable cycle, spending more of their income on housing than their home-owning counterparts. Nationally renters spend an average of 20 per cent of their income on housing, while owners with a mortgage pay 16 per cent. The availability of social and affordable housing stock has fallen in the past decade and this is now being felt by more low-income Australians, more of whom are having to enter the private rental market where they find rents unaffordable. Of all low-income households across Australia, 44 per cent are in housing stress. This is unacceptable. Far too many Australians are facing housing stress. Children deserve security of housing. Single parents balancing work and child-rearing need to be able to access affordable housing while they are doing one of the most important jobs of their lives – raising the young people who are Australia’s future. This is not easily solved but it certainly won’t be fixed – or even begin to be addressed – unless the entire community, including our policymakers and political leaders, shines a light on the issue and recognises the problem of housing affordability needs urgent attention. Single parents often get additional financial support from the welfare system through discounts, ,monetary supplements and are usually first in the queue when charities dispersing funds draw up lists of those to help. However; single workers, under employed, and unemployed do not have such a wide access to the welfare or charity support systems. Dramatic changes must be considered to change this lack of balance. The days of taking from the single person to prop up the family are over. Single people have access to only one POSSIBLE wage and very little else. This must be addressed. Unfortunately it is unlikely to be any time soon as it is not a vote winner. Single parents often get additional financial support from the welfare system through discounts, ,monetary supplements and are usually first in the queue when charities dispersing funds draw up lists of those to help. However; single workers, under employed, and unemployed do not have such a wide access to the welfare or charity support systems. Dramatic changes must be considered to change this lack of balance. The days of taking from the single person to prop up the family are over. Single people have access to only one POSSIBLE wage and very little else. This must be addressed. Unfortunately it is unlikely to be any time soon.